Why do you have a passion for this one in particular, is there a personal tie? CCSF offers support to Canadians at risk of falling through the cracks. The funds they raise through recycling is distributed across the province to charities already invested in local communities doing wonderful work such as soup kitchens, shelters, hospices etc. Although there are many charities that use textile recycling to fundraise, most raise funds for disease research etc. CCSF is the only organization in the textile recycling sector that I know of that actually helps to feed and clothe Ontarian's in need. Is there a particular way you would want to encourage readers to be involved? Recycle your textile waste! For readers that own or manage properties or businesses, the best way you can help is by hosting a CCSF used clothing bin that area residents can use. How would you define social responsibility? Doing what you can, when you can to fill a need in your community. It could be as simple as visiting an elderly neighbour, or helping support local charities or grassroots initiatives that are filling gaps in your community. I have one tattoo on my left shoulder. I had lost my job, and had decided at that moment that I was going to devote my life to public service. 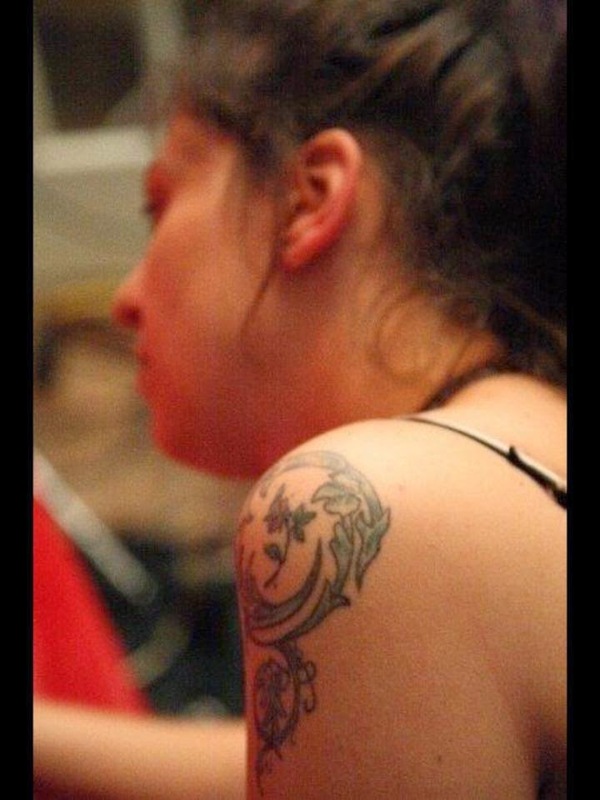 That night I dreamed that I got a tattoo and that the tattooist free styled the design. The next morning my friend called telling me she was going to a tattoo parlor on an impulse and asked if I would keep her company. I thought it was a weird synchronicity, so I agreed. When I got there, the guy behind the counter looked just like the person in my dream. I wasn't going to get a tattoo, but flipped through the catalogs- there was nothing I could find that I wanted anyway. He looked at me and said that he suddenly had an inspiration and would I mind if he sketched something for me – with no pressure to actually get it. It was so much like my dream, that I barely even looked at the sketch before I let him tattoo it on me – I felt as though it was a right of passage. That was at Stigmata in Hamilton, Ontario.